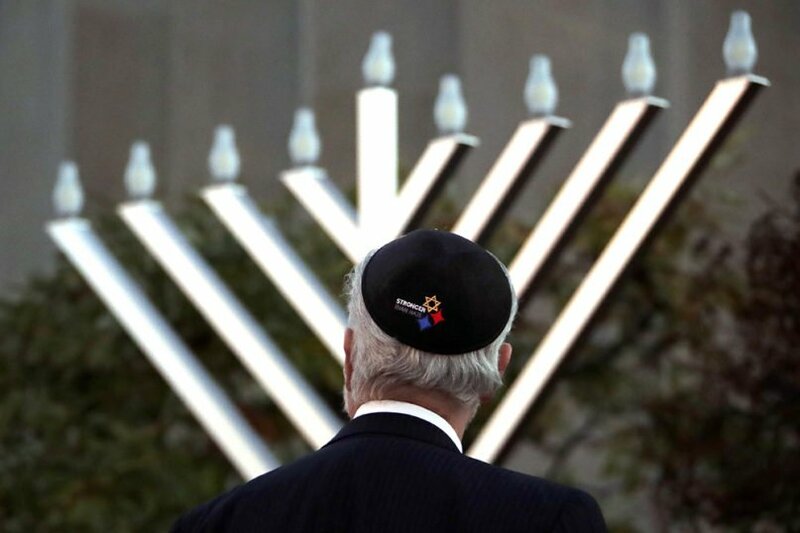 Hope and light are powerful symbols of this season in both Judaism and Christianity. While Christians began to observe the season of Advent, our Jewish brothers and sisters celebrated Hanukkah. I recently saw two photos related to Hanukkah that spoke to me about the truth of God’s presence and love in the face of darkness and evil. At the Tree of Life Synagogue in Pittsburgh, Rabbi Jeffrey Myers watches as a menorah is installed outside the place of worship where 11 people were shot to death less than two months ago. In another photo, Holocaust survivors celebrate International Holocaust Survivors Night during Hanukkah in a Jewish Community Center in Berlin. These photos remind me of the reality of evil and suffering in our world but even more importantly the reality of faith in the power of God’s love to overcome evil. I am grateful for these images of hope from the Jewish faith that bear witness to the light of God’s love that overcomes any and all darkness by being with us through the darkness.